PTO&C offer a wide selection of engine housing spacer rings and housings for close coupling industrial engines to alternators,compressors, gearboxes, hydraulic pumps, and copious other applications. Our most popular range of housings are to SAE, manufactured in G25 cast iron, including "jump" sizes, but we also stock many special castings, and steel fabrications for non-SAE applications. If in doubt - PLEASE ASK! PTO&C offer more than 200 models of adaptors/housings/rings to interface diesel motors with generators, hydraulic pumps, motors, motor pumps etc.. 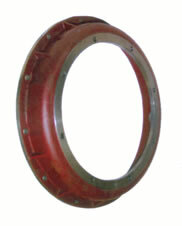 They are made of cast iron, fabricated steel or aluminium in international sizes ranging from SAE 6 to SAE 00. A range of NON-SAE sizes is available too. 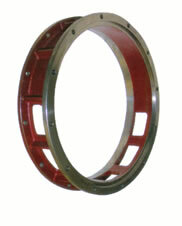 Upon request we can perform studies and supply special housings to fit specific requirements. 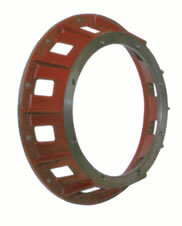 PTO&C offer an unparalleled selection of SAE housing spacers, with "jump" sizes increasing or reducing in size. 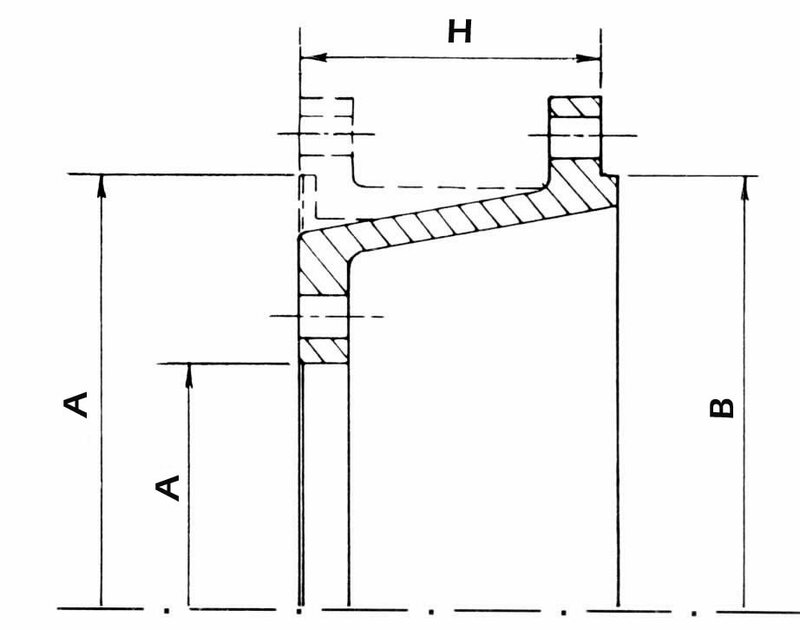 Please see our SAE selection chart to help you to identify the spacers that you require.